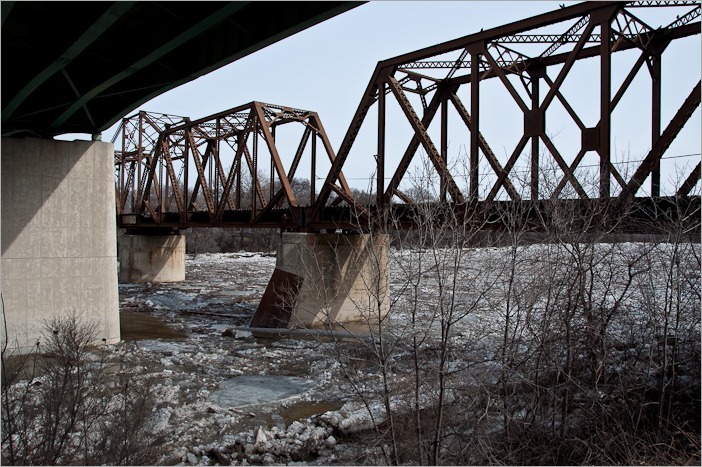 The ice on the river was far from gone. Melting, yes, probably. But it was still there. The ice was in chunks and with lots of debris. And from bank to bank. Somewhere in the river must be a natural dam of some kind that is holding up all this ice. 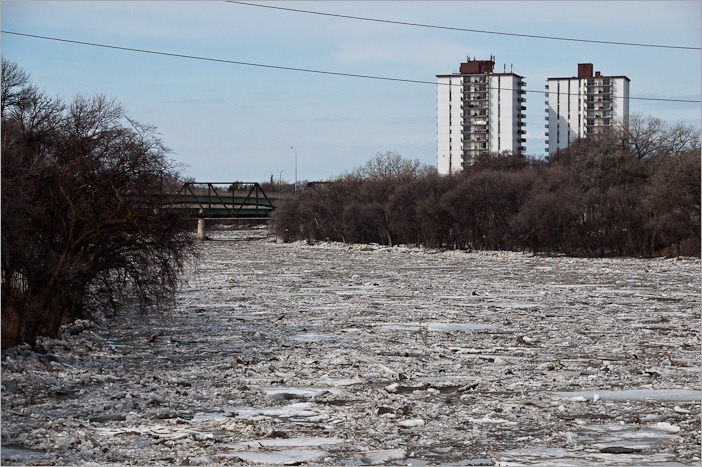 When last winter I went on the river, there was a place where water was going over the ice, by –26C. I thought that this was done manually to create a better skating rink. However, when I went there later, the skating rink was closed off with signs telling me that the place was dangerous. It appeared that the river was frozen from top to bottom. Not surprising by –26C. The remaining water was pushed up over the ice, only to disappear later on underneath it. Obviously those places are dangerous. 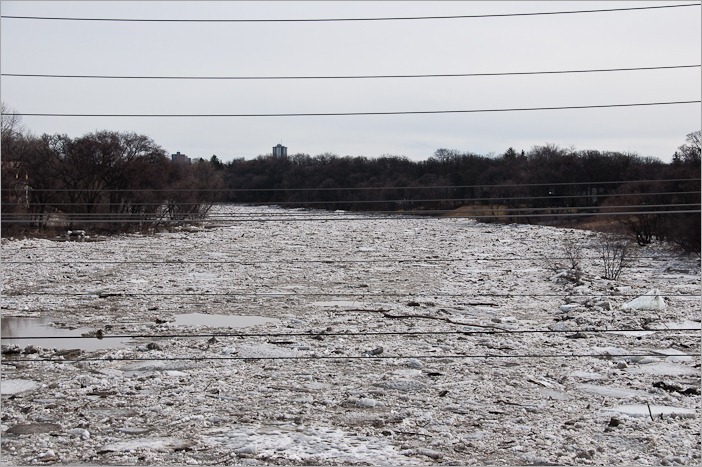 The ice gathering on the river today is “simply” a matter of “gathering” not of an ice dam or something alike. The ice is moving, stopping and then moving again. 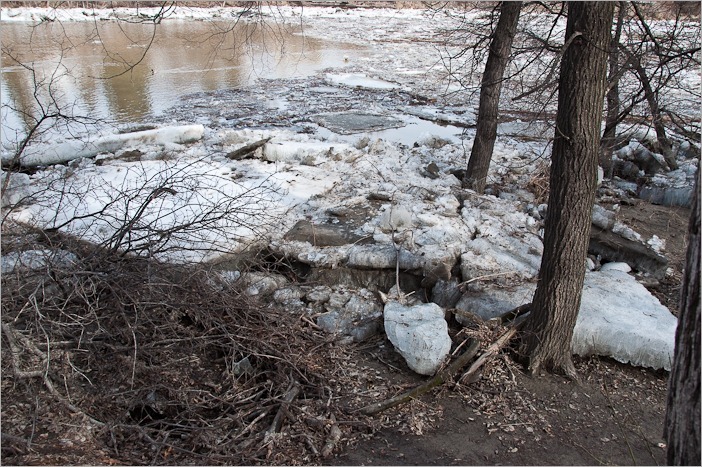 Obviously when it stops, the buildup of ice will hold the incoming water too. 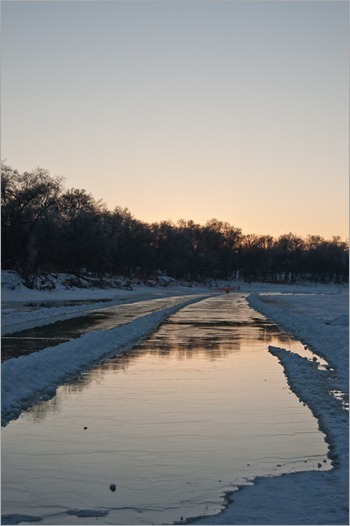 When there is enough water to make the ice float again, the buildup breaks and the ice will float away. Until the next shallow place in the river. For the ice behind the gathering, of course it looks menacing. 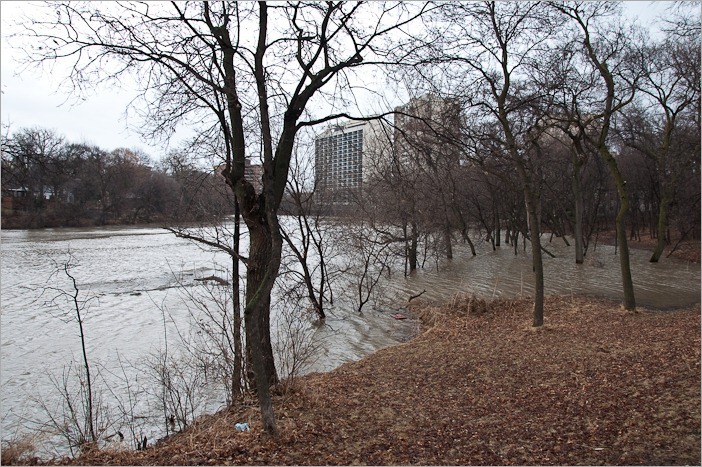 Water will rise 3 to 4 feet behind the “wall” and then surge through, take the ice and leave a “clean” landscape behind. 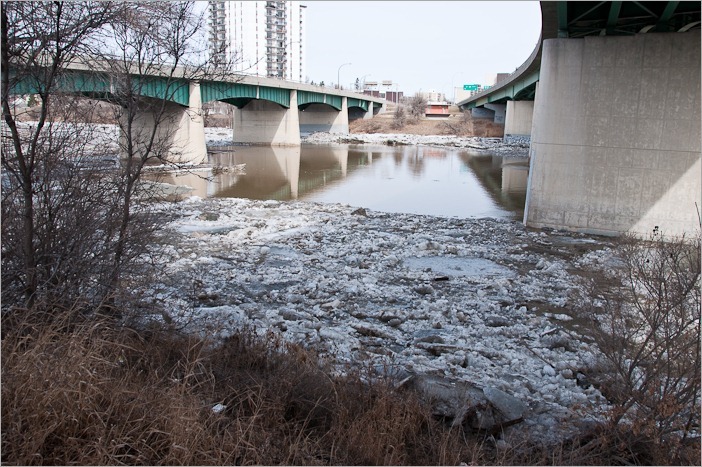 It seems this is normal spring behaviour for a river like the Assiniboine. My guess is that within two weeks, all this ice will be gone and forgotten.